Hunsinger helped to lead his Brown Jaguars to a state title in 1949. The Jaguars finished the season 11-1 to claim the only title for the now defunct Brown High. He was named All-everything his senior year and would take his talents to Georgia Tech for his college playing days. 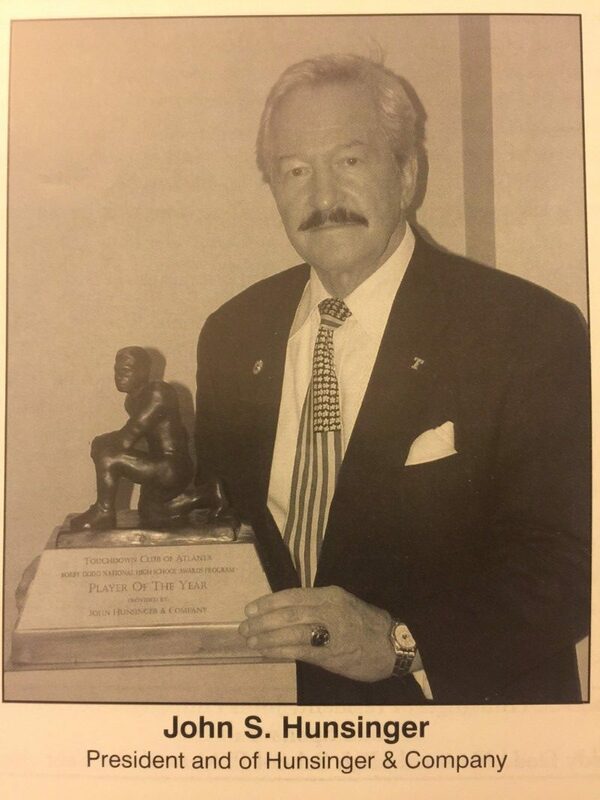 Johnny Hunsinger was also a long time member and supporter of the Touchdown Club of Atlanta and was given our highest honor as an Honorary Lifetime Member.